I can’t explain why I did it. Often, it is as if a part of me has its own impulsive life beyond my control. I am astounded at the mess it causes. And occasionally at the good that comes of it regardless. But, whichever way, it is always my conscious self that has to deal with the consequences. Good or bad. Two years ago, at her mother’s funeral, Maria invited her sister to visit her. So why is it now that her sister, Emma, finally takes up the invitation. Because Maria passionately regrets asking her. Maria is living alone in a house in a small Spanish village, with views of the sea. She has taken time out from her work, to retreat, after losing the love of her life. 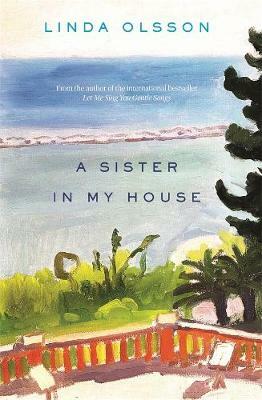 ‘A Sister in My House’ is a compelling story of family, tragedy, blame and loss that stretches over six days and over four decades. Maria is more prickly than a sea urchin, and resents the arrival of her sister, yet cannot turn away. They have only six days together. Maria is seeking only to survive, but their time together offers so much more. I loved this novel which explores the understandings and misunderstandings that shape the relationships we make and break.